Peerplays is Now on Blockfolio Signal! 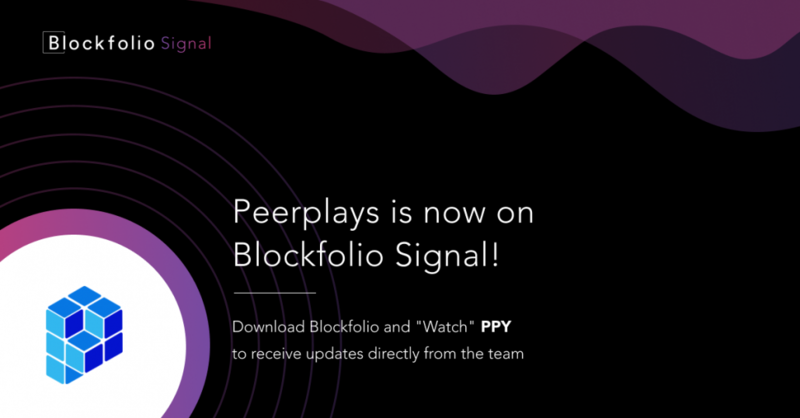 We’re happy to announce we’ve joined Blockfolio Signal as a way to get Peerplays news to even more people who care about PPY! If you don’t already have Blockfolio on your phone, click on the name and follow the links. https://www.peerplays.com/wp-content/uploads/2019/03/PPY-blockfolio-announcement.png 627 1200 Peerplays Admin https://www.peerplays.com/wp-content/uploads/2017/11/peerplays_logo.png Peerplays Admin2019-03-20 18:26:502019-03-29 18:38:08Peerplays is Now on Blockfolio Signal!